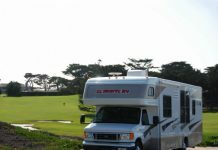 If you are someone who travels in an RV from time to time or lives/camps in an RV, then you must know the many ways to prepare it from the worst weather conditions like storms, hurricanes, snowstorms and others. There are many ways to prepare your RV for a hurricane and you must start the preparation at least a few hours in advance. You must do so in such a way that both its exteriors and interiors remain safe and well protected. 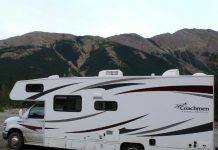 The following are a few Camping tips and suggestions that will help you prepare your RV for an expected hurricane. The first thing to do is to seal all your important documents, papers and currency cards in waterproof bags or waterproof document holders and put it inside a locked box. 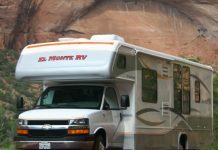 Get your RV insured in order to cover all losses that you may incur due to hurricanes and other such weather conditions. Put the insurance documents in a waterproof bag or pouch too. 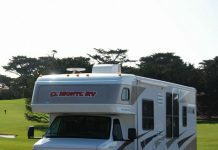 Tow your RV to a pillar or a strong post so that it doesn’t start moving or doesn’t get washed down in the hurricane. Shut all doors and windows and lock them tight to avoid any water, wind to enter and to avoid the door and windows from banging due to the hurricane. Prepare an emergency kit which consists of portable water, non perishable food items, medications and other items that you may need for the next few hours in the hurricane. Make sure all containers are filled with water so that you can carry on with activities like brushing teeth, using the toilet, using the bathroom, cooking etc. If the hurricane is expected to last for more than 24 hours, then you must also purchase and keep items like batteries, duct tape, garbage bags, radio, oil lamp, a mobile phone with charger and others in your RV Camping. 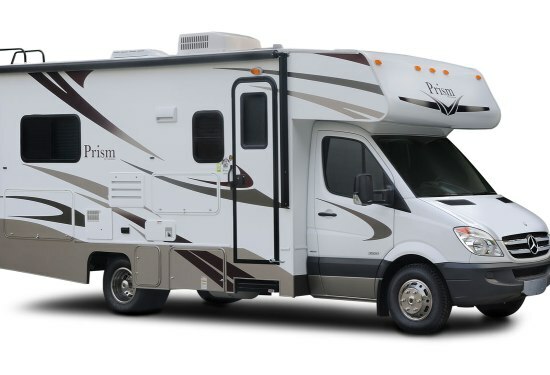 Maintain and keep a bag of tools close to you so that you can fix RV roof, windows and doors if they happen to crack, break or get damaged due to the hurricane. Inspect the tires and have enough fuel filled in the tank to avoid running out of it, if you need to move from your location and head somewhere safe. Attach plywood to your glass windows so as to deal with a situation where the glass breaks and you may need cover or protection. It is advisable not to drive when the hurricane has started as that can damage the engine and may create problems for you. Remove any loose branches or loose items from around your RV so as to avoid them getting blown on your RV due to strong winds. Secure all the items in your RV, especially those lying loose and put as many things as possible in boxes, cupboards or storage units. 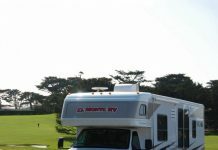 Try to park your RV in a safe or preferably covered location.